Dancing at El Cafecito is like a good old living room party. Good music, good people, good vibes. Everybody is welcome! 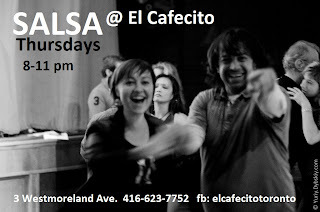 Every Thursday night, 8-11 ish pm. El Cafecito Espresso Bar, 3 Westmoreland Ave.